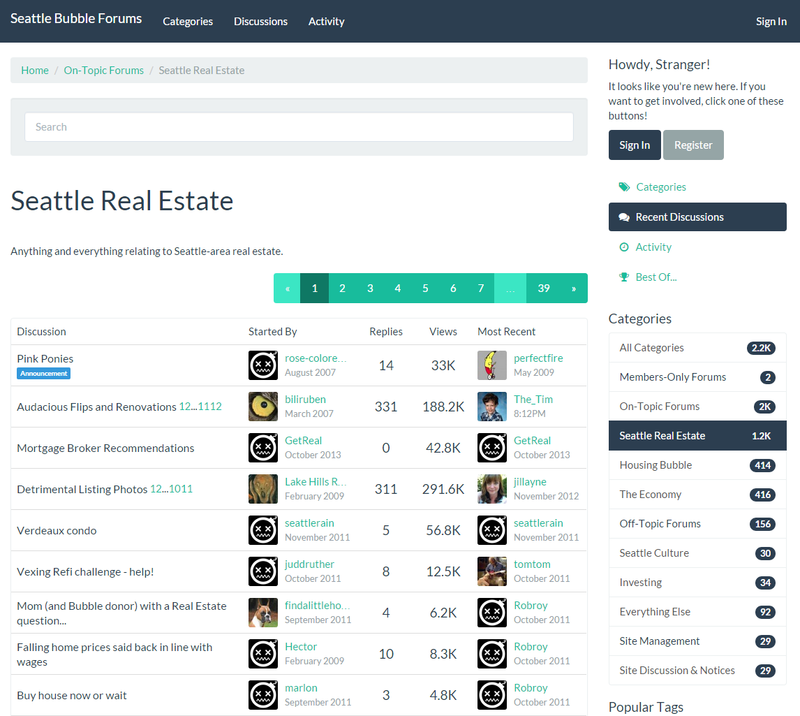 With visits and comments here heating up as the market rises further and further into new bubble territory, I decided it was time to put in the work to bring our old forums back from the grave. To get to the new forums just click the “Forum” link at the top of the page. Although I have migrated everything over to an entirely new platform, all of the old 2007-2013 content is still there. If you created an account on the old forum you should still have an account on the new forum. If you don’t have an account, creating one is free and easy. All you have to do is verify your email address (your email will not be visible to other users). With these new forums fully integrated into the site we’ll be able to host a much broader range of discussions between visitors. You also get often-requested features like an “ignore user” function as well as private user-to-user messaging. This post will be closed to comments on the blog. If you have a comment about the forums, take ten seconds to register an account over there and leave your comment in the forums themselves. If you have trouble creating an account, drop me a line directly. I will also be ending the weekly “open thread” since the forums are one giant 24/7 open thread. 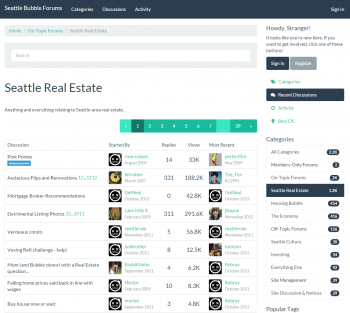 Head over to the all-new Seattle Bubble Forums and join the conversation now.